On 18 December 2012, Cheryl Miller, founder of DigitalMuse.org, had the opportunity to share her thoughts on the importance of getting more girls and women into STE(A)M studies and careers in the context of a meeting with EU Commission Vice President for the Digital Agenda, Neelie Kroes, and Digital Champions from all the EU Memberstates. In her comments to those gathered, including recently appointed Digital Champion for Belgium, Saskia Van Uffelen, Cheryl emphasized the importance of women-led enterprises, especially in STE(A)M, and a feminine growth model for the future economy of Europe, the latter being socially-oriented, digitally-driven, slow-growth, resilient and having a long-term vision. 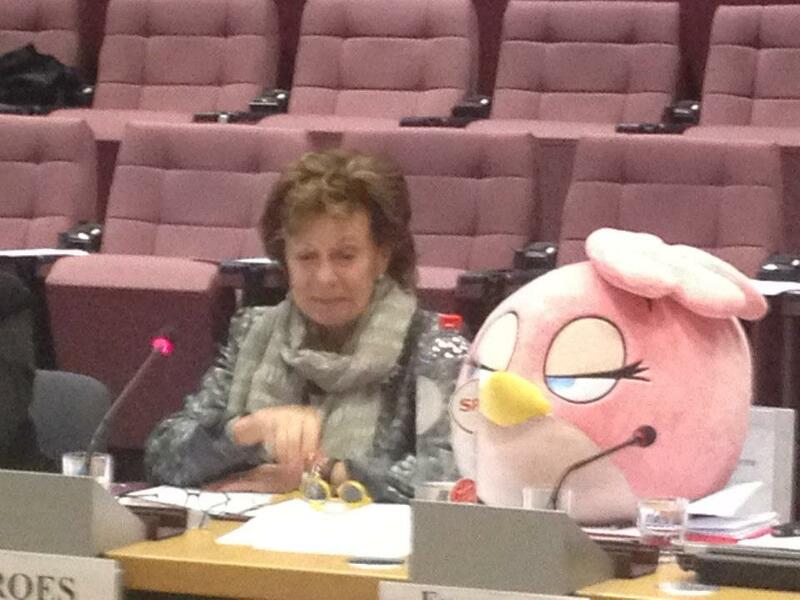 Pictures from the gathering, including a visit from Stella the Angry Bird, are included here. Next PostNext DM goes to the EU Parliament!